. Both of my parents survived, and I had no siblings. I have no tattoo (though I sometimes perversely envied those who had them). I was never beaten or starved. After the War I went on with school at the normal grade level. And when I recently visited the Buchenwald memorial site, the foremost thought in my mind -- unrepentant cinephile that I am -- was to find the location of the barrack where I saw my first movie; never mind that my first screen image was of a smiling Hitler on horseback, introducing a newsreel. The search for the site of the barrack where I actually lived took second place. . . . 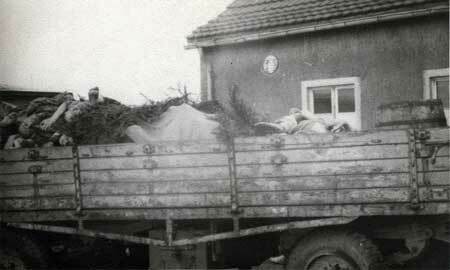 I spent the last months of the War, after Buchenwald, in the Bergen-Belsen concentration camp . . . I suspect that should you use this information that the good doctor will remove the original webpage.